A dedicated "professional project manager" is urgently required to tackle Parkmore's traffic chaos and push through the bus and cycle lanes, park and ride facilities, and integrated transport solutions the area needs. This is the view of Fine Gael Galway West TD Hildegarde Naughton, who was speaking this morning ahead of the Oireachtas Committee considering Ireland 2040 - Ireland’s National Planning Framework. 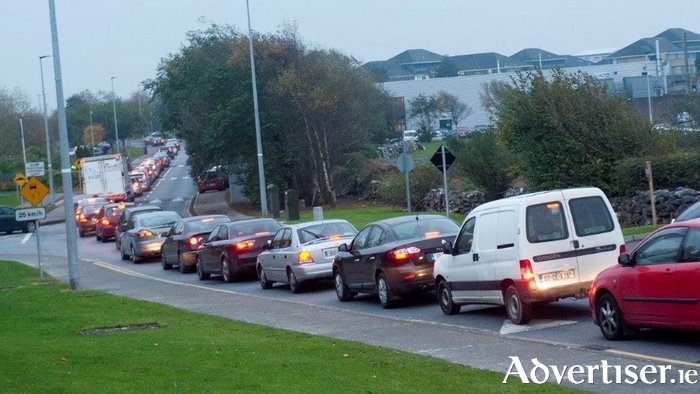 The TD said Parkmore's notorious traffic issues "can be resolved with sufficient coordination of all the State agencies concerned", and that the appointment of a dedicated project manager was an important part of that. Earlier this year, a delivery team was established to progress transport and infrastructure across Galway including Parkmore. However, Dep Naughton said "the pace of progress has been too slow" and that Parkmore "is not receiving the attention it deserves". The Department of Housing, Planning and Local Government has informed Dep Naughton that "progress has been made" in relation to the land transfer that will allow completion of the proposed left turning lane from Parkmore West. The Galway West TD said she would be discussing the issue with the senior planner from the Department of the Housing Planning and Local Government later this week.